With FM KickStart you always depart with shrieking tires. In FM KickStart, every element, layout, field, color, font, relationship or script can be customized. Direct grip on invoicing, CRM management easily, in one place and products can be efficiently organized and searched. Quickly and efficiently link important documents to the right relationship. 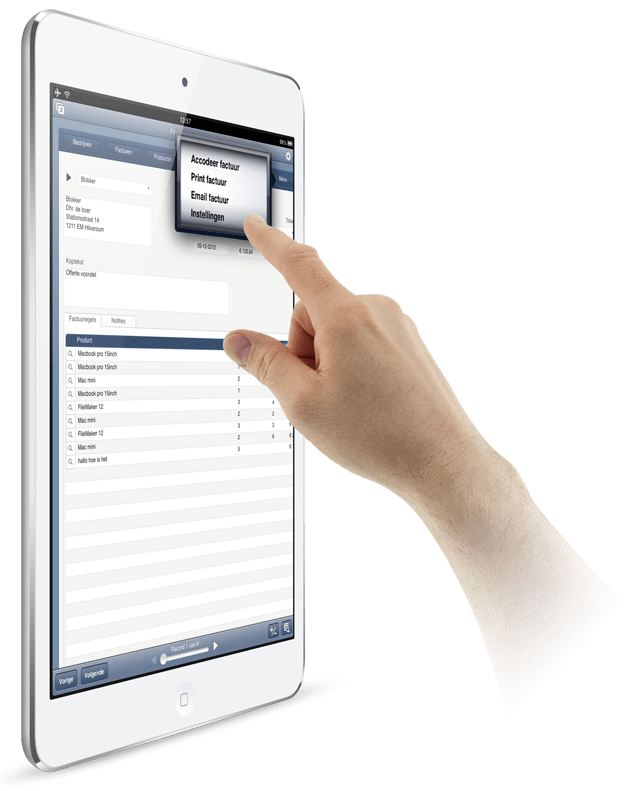 Kempen Automatisering offers FM KickStart as opensource solution, free filemaker template, without costs or limitations. FM KickStart can be customized directly to your own working method. As Platinum FileMaker Partner with more than 17 years of experience, we can quickly and effectively develop extensions for you. In the cloud or in own control? Locally installed on your own server or in the cloud: both options have something going for them. We would be happy to assist you to choose the correct FileMaker Hosting for you.